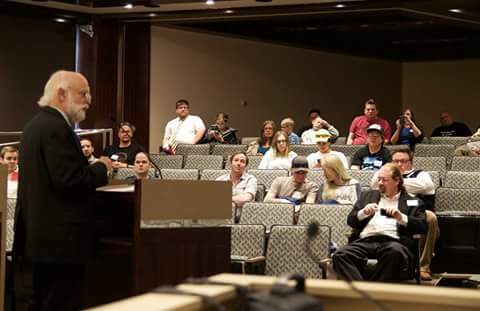 Saturday, April 23rd, the Libertarian Party of Utah held their annual convention to select candidates and choose delegates for the National Convention in May, where they will help select the nominee for President of the United States. This year’s turn out was possibly the largest in the state’s party history. It began, as all conventions, with credentialing attendees who were eligible to vote on candidates and party business items. The reason to bring this up is that it took far longer than normal to finish the process, as the line literally went out the door for the majority of the morning, even though credentialing started thirty minutes prior to the scheduled start. In spite of the long lines and a late kick off, enthusiasm ran high as candidates prepped their final thought in their heads, and old friends shook hands. New faces were present as well, with several officially joining the Libertarian Party on the spot. 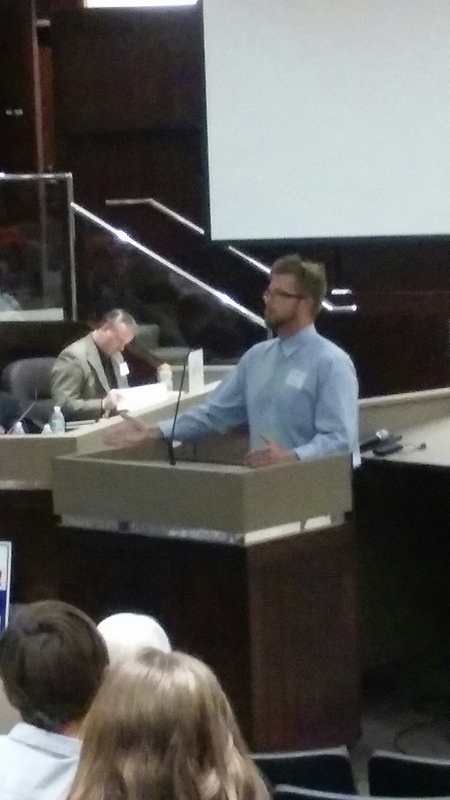 Party Chairman, Andrew McCullough, kicked things off with great news on the fiscal situation in the Utah party, as well as the record growth experienced in the last year. 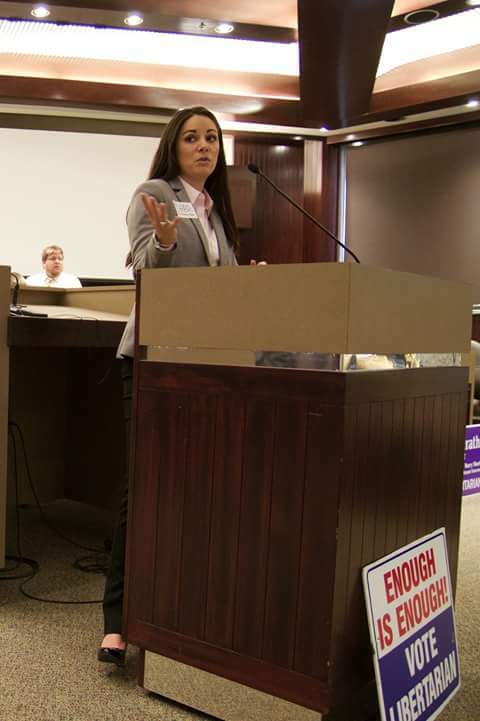 The party has been adding record number of concerned Utahans every month, which as reported, may have even tripled the size of the party. There were of course the candidates up for nomination, and while a little smaller than 2014’s, looks to be one of the strongest seen based on the experience of the candidates who stepped up. 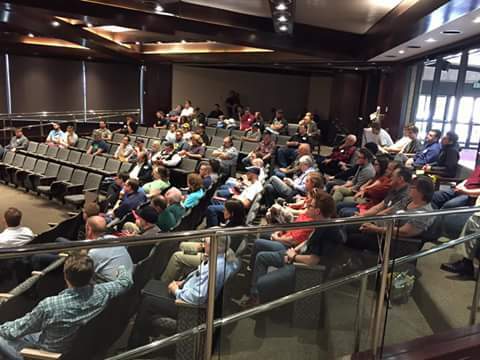 On top of the selection of candidates for offices within Utah, the Libertarian group held a Presidential straw poll and chose delegates to head to the National Convention in May at the Rosen Centre in Orlando. The candidates selected for the poll were based off those who had representation speak on their behalf. This year, Utah was also able to select a full delegation of 8, with all 8 alternates chosen as well. Each person interested in becoming a delegate was able to speak for two minutes on why they should be selected. 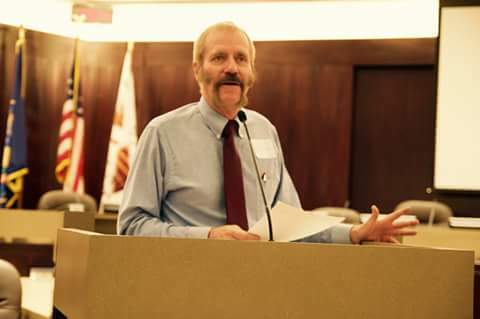 Former mayor Willie Marshall addressed the crowd on how to get elected as a Libertarian using his three rules of “Suit up, show up, and play the game.” It was amazing to have an example of triumph from an elected libertarian in Utah. Utah Libertarians lastly selected their six electors in the event the Libertarian nominee wins the majority of votes in November. Reblogged this on Libertarian Party of Weber County. This is Jerry Stocks. I would like to help out on your campaign any way I can. I don’t have a lot of money but will donate what I can. I am not sure if Tooele county is in your district but if it is maybe I could do something out here. Let me know how I can help. Thank you for the interest in helping with the campaign. Unfortunately after the redistricting a few years ago, Tooele County was no longer in 1st District. However, we always need people willing to help in any way possible. Shoot me an email at Craig_Bowden@craig4congress.org and we’ll find a way for you to help us out.